Are you or someone you know a dog lover? specifically the Boxer? Then this is the perfect gift for yourself or for a friend. 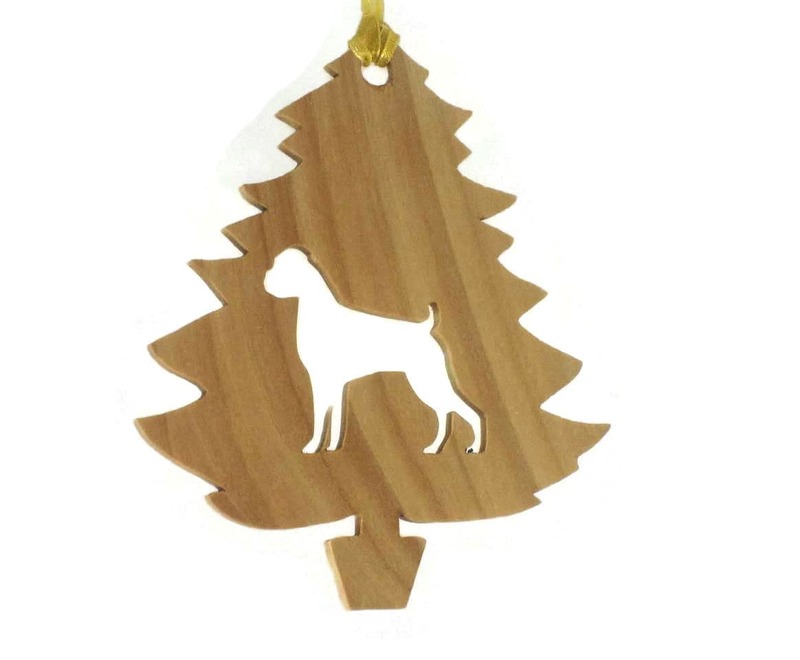 Show the love you have of your pet and proudly display this decoration on your Christmas tree during the holidays. 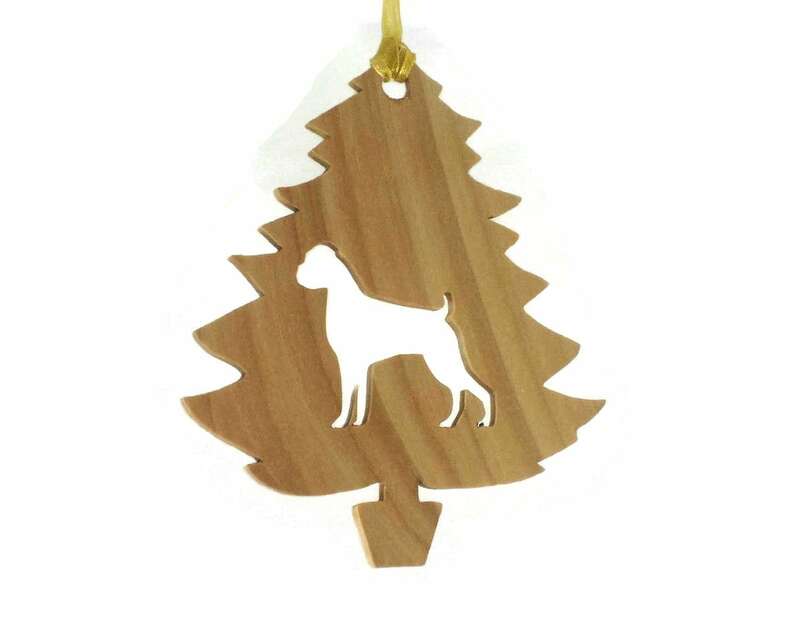 This handmade (Un-cropped) Boxer Christmas tree ornament features a boxer dog cut out of the center of a Christmas tree shape, all cut by hand on a scroll saw. This is made from a 3/16 inch thick solid Bass wood. A natural non-toxic Bees wax and Mineral oil finish was applied to bring out the natural beauty and colors of the wood grain, and will also protect this natural beauty for many years of enjoyment. 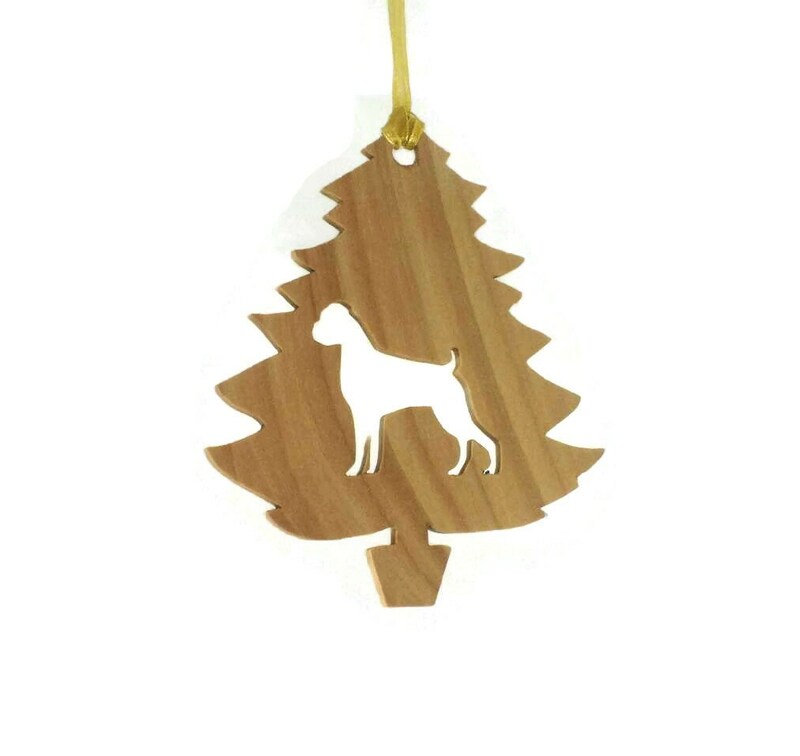 A various colored fabric ribbon is attached for ease of hanging this on your Christmas tree. 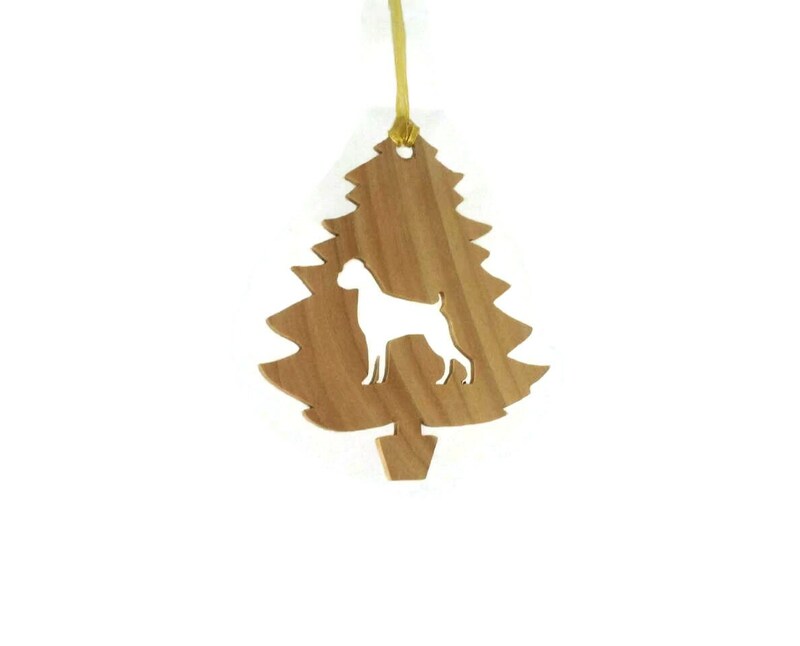 This ornament measures 3.5 inch wide x 4.5 inch tall and 3/16 inch thick Basswood lumber. Please Note: Ribbon colors and wood grain and actual look varies due to differences in wood grain. 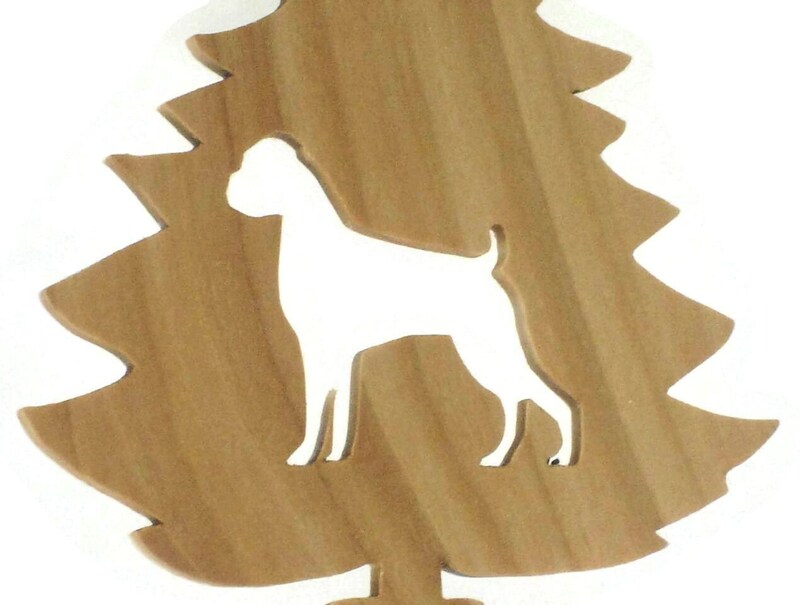 Rather have the Boxer with cropped ears? Click the link below for that item listing. If you do not see your dog breed listed please send me a conversation and I will get one listed if I have it or will try to make one for you. This was made the day I requested a boxer with uncropped ears and shipped out a soon as I paid for it. Will definitely purchase from this seller again.